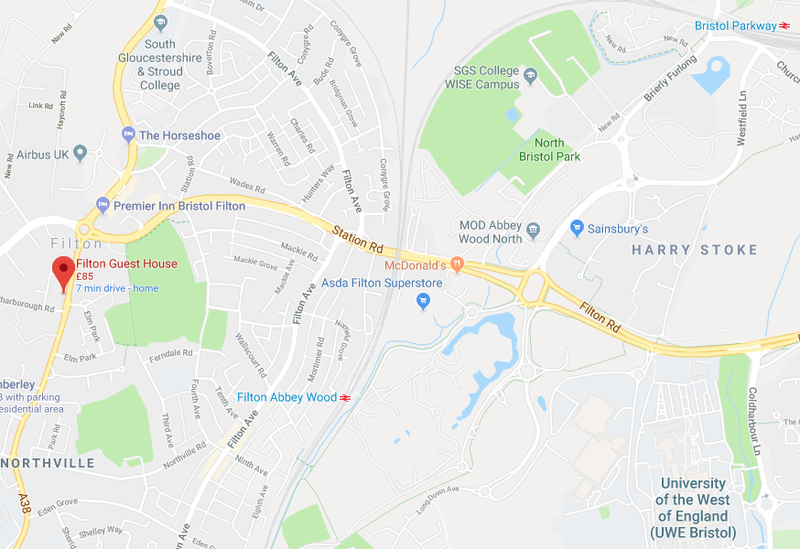 We are on the A38 (Gloucester Road North), just south of the junction with the north circular road the A4174. We are on the right-hand side of the road as you travel south just before a mini roundabout with a Methodist church and a police station on the left. Our private car park is at the rear of the property (you cannot turn into our driveway from the A38) and has room for all our guests to park. To reach the car park you must turn onto Charborough Rd from the A38 (Gloucester Rd North) and then take the first right into Bevan Ct. Look for our sign at the bottom of our car park. If you are travelling south on the A38 you cannot make a left turn into Charborough Rd so you can either turn onto Elm Park at the mini-roundabout and follow that road round to the right which will bring you back to the A38 south of Charborough Rd so that you can turn left into it. Alternatively you can go down Southmead Road (B4056) from the large roundabout where the A4174 meets the A38. 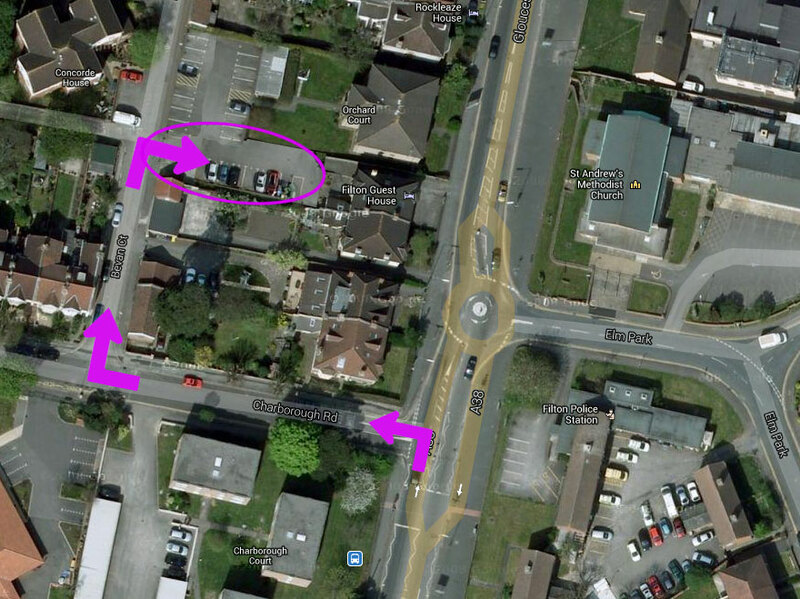 Charborough Rd is the third left turn off of Southmead Road. You then turn left into Bevan Ct. See the detail map below. 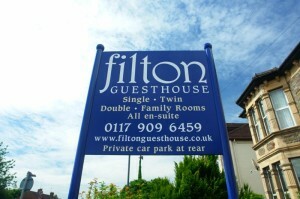 There are bus stops just south of the Filton Guest House on Gloucester Road North (A38). Bus route 75 stops at these up to ten times an hour as well as other services. 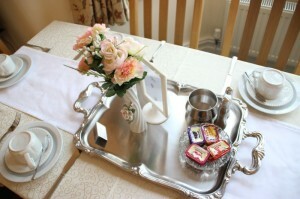 There are also stops on nearby roads in easy walking distance which have other services on them. There is a useful page on the Travel+ website which shows nearby bus stops and allows you to see realtime departure times. For more information about public transport in Bristol see the TravelWest Transport Information site. They have a Journey Planner that allows you to find out how to get to the places you want to visit. 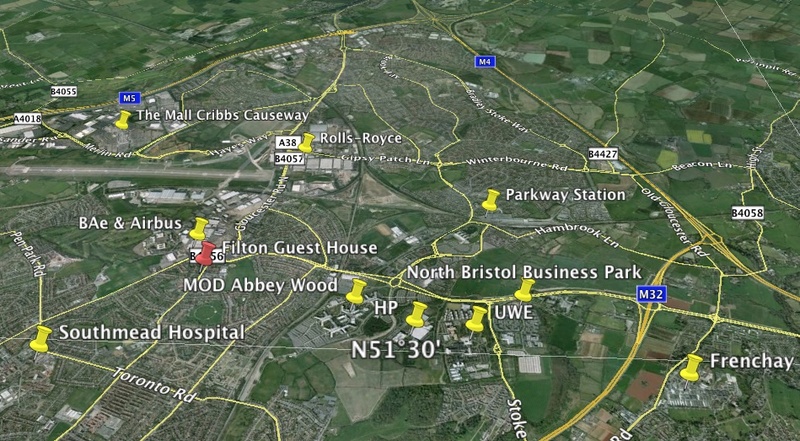 There are two major stations in Bristol and Bristol Parkway is the one that is very near to the Filton Guest House. Journey times between London and Bristol are lower to Bristol Parkway because the trains do not stop at Chipenham. 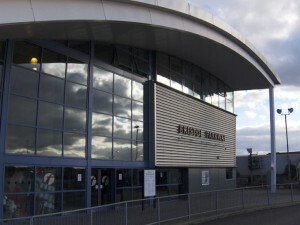 You can get more details about the station and which services it offers on the Bristol Parkway Station Information page of the National Rail site. The station in the city centre is a bit further away from us but still not that far so if you would rather come to Temple Meads. 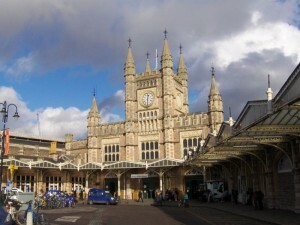 You can get more details about the station and which services it offers on the Bristol Temple Meads Station Information page of the National Rail site.